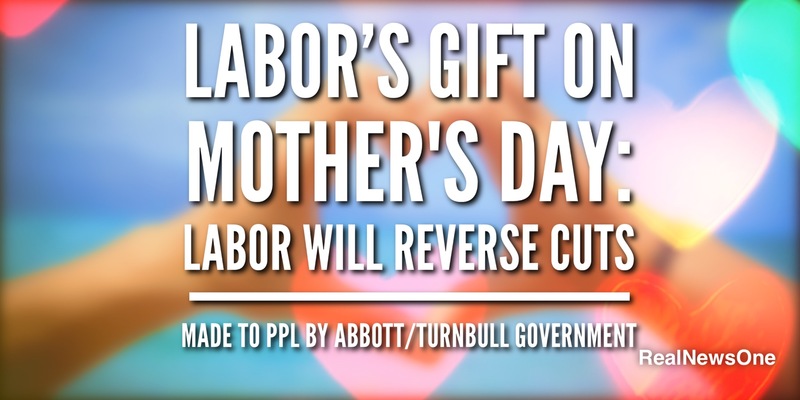 Labor has announced that it has good news for Australian Mothers on this Mother’s Day. Labor has promised to reverse the cuts made to Paid Parental Leave made by Abbott and locked in by Turnbull. On this day last year, the Coalition announced that they would cut Paid Parental Leave which would disadvantage more than 80,000 women. This would put mothers in a position where they will need to choose on whether to spend less time with their new born baby or have less money. Labor said they understand that you need to have a good PPL scheme which looks after mothers. Mr Shorten has said “the choice is clear, you can only trust Labor on Paid Parental Leave.” Mr Shorten said he wants to help working families and women in Australia has also said why should mothers have to choose between their children and work. He said he doesn’t share the view that Turnbull has that mothers are double dippers. Labor said that they want workers to negotiate with their employer on extra leave to spend time with their newborns. People who take Paid Parental Leave from their employers and the minimum entitlement from the government are not double dippers or fraudsters. This election is about Australian people and who have positive policies to support Australia and that Australians want to know which government will have real policies on renewable energy and protecting weekend rates.